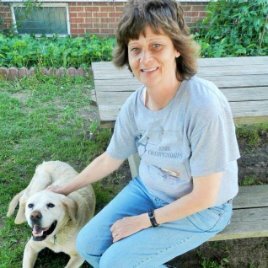 Teresa Northcutt, 52 of Lynnville and formerly of Newton passed away Tuesday, January 3rd at her home. Celebration of Life will be held at the Taintor Community Church on Sunday, January 15th beginning at 2:00 pm, with a light luncheon to follow. Iowa Cremation is assisting the family. The burial of her ashes will occur at a later time at the Stewart Cemetery in the Prairie Township, of Mahaska County. In lieu of flowers, the family has asked that contributions be made to grow Teresa’s memorial garden that she treasured dearly. The family would like to add a memorial stone to it to honor her.Teresa was born on November 2, 1964 in Newton, Iowa to Rosalee Edwards and the late, John Buckroyd. She attended high school in Newton, along with her sisters Tanya (Buckroyd) Bean and Tabitha Buckroyd. At the age of 22, she had her first daughter, Heather. On June 13, 1991 Teresa began dating the love of her life, Kelly. They married on July 25, 2000. Together, they had two children, Roza and Clarissa. She spent many years cooking and managing the kitchen at the Long Horn Restaurant in Grinnell, Iowa. However, after the birth of her second child, she became a homemaker and dedicated her life to her family. She loved being able to see her children grow up. She did some part-time work in the Casey’s kitchen in Sully throughout the years. Teresa loved gardening and plants. Her house is full of plants that she has nurtured throughout the years. She loved butterflies and birds, but there was no animal that she loved as much as her dog, Shadow. Teresa cared so much about taking care of everyone else that sometimes she forgot to take care of herself.Teresa is survived by her husband- Kelly Northcutt of Lynnville, children-Heather (Daniel) Handy of Norwalk, Roza and Clarissa Northcutt of Lynnville, mother-Rosalee Edwards of Newton, sister- Tanya (Don) Bean of Marengo, her grandchildren-Ethan and Xander Handy, and many nieces and nephews. She was preceded in death by her father John Buckroyd, sister Tabitha Buckroyd, grandmother Pearl Ver Dught, and nephew John Lloyd. Healgrief has a memorial to share with you. https://healgrief.org/teresa-northcutt/ We invite you to express condolences, share special memories and photos and light virtual candles to honor and celebrate the life of our loved one. We also invite you to share this with others who may want to be notified as well. You may do so by sharing the link or by clicking the “Share this Memorial” button from within the memorial itself.